Florida lawmakers are discussing repealing personal injury protection insurance, which is one of the mandatory policy requirements for Floridians to drive. Personal injury protection insurance may be repealed as a result of the supposed growing number of fraudulent claims, according to the Sun Sentinel. If repealed, the average motorist could save $81 on their policy. However, there is currently no plan to replace personal injury protection insurance if repealed. If repealed, the injured motorist will be responsible for paying for medical treatment prior to filing suit. Personal injury protection (PIP) insurance is often referred to as no fault insurance because it covers its policyholder no matter who caused the traffic collision. The policy only covers the policyholder and the occupants of his/her vehicle, or they and their family members if they were hit while passengers in another person’s vehicle. PIP insurance was originally implemented in 1971 in order to speed the process of receiving and paying for medical treatment. PIP insurance, because it is no fault insurance, does not require either party to go through the court system in order to receive benefits. However, insurance providers have complained of fraud for decades. The last change in PIP occurred in 2012, which limited certain medical treatment. It is no secret that Florida’s roads are in a state of disrepair. A sprawling city like West Palm Beach and its many-laned surface streets make other modes of transportation that reduce traffic, such as buses, walking, and biking, less accessible. 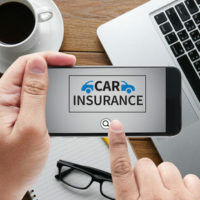 With traffic a growing problem, and fatalities and injuries on the rise, the importance of having adequate insurance has never been greater, as well as the importance of others having high quality auto insurance policies in case they cause you injury. Currently, there is no requirement for Florida drivers to purchase insurance that would cover a victim’s losses resulting from a traffic collision. The only two requirements under Florida law are a $10,000 property damage liability policy and a $10,000 personal injury protection policy. Neither of these would help pay for medical bills or for the pain and suffering of a person injured as a result of negligence. A negligent driver who only has the minimum personal injury protection and property damage liability policies, and who causes injury to another, would likely not be able to afford to pay the medical expenses of a gravely injured victim. A lawsuit may force the offender into bankruptcy thus precluding the injured party from recovering adequate compensation. While there is not currently a bill set in motion to replace PIP insurance with anything, a possible solution could be mandatory bodily injury protection, which is the law in most states already. Many Florida drivers who possess assets most probably already secured bodily-injury (BI) policies, which pay for an injured party’s medical bills, pain and suffering, and more if the policyholder is negligent. If you were injured by another party in a West Palm Beach auto collision, contact the Celeste Law Firm today at 561-478-2447. We are eager to help you with your case. © 2016 - 2019 Celeste Law Firm. All rights reserved.